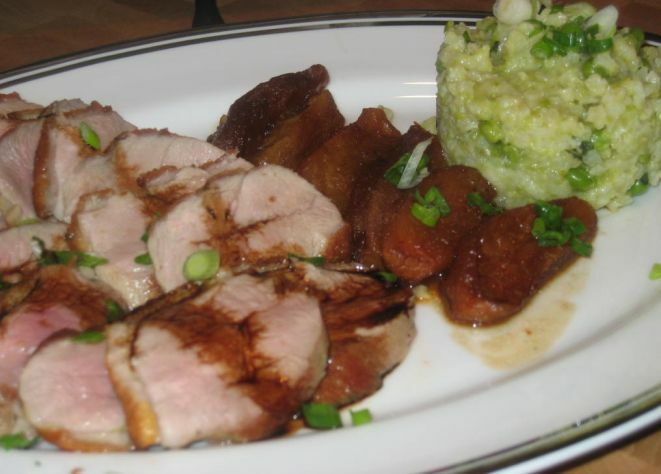 Originally this dish was supposed to be served at my Chef's menu party last Saturday but all of us were so full that I have to skip this dish. Hoa and Kevin thought it was treat that a fancy and beautiful dish was served for dinner on a regular Monday. 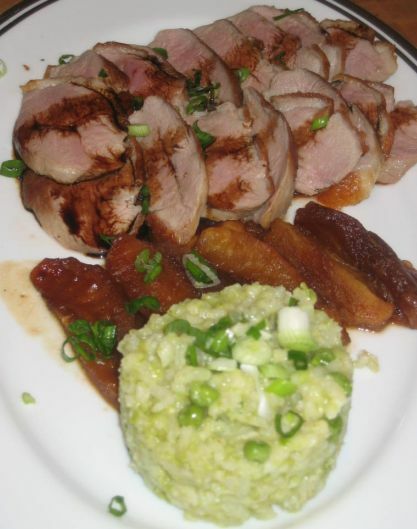 I always like Duck Breast! The meat is soft and so tasty. 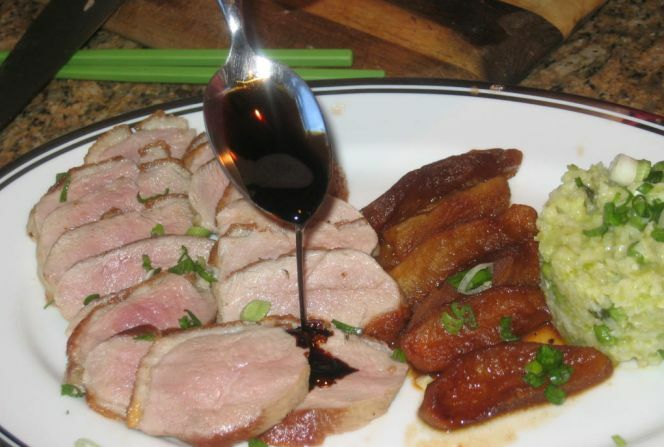 The reduced balsamic sauce goes really well with the Duck and The caramelized Apples added a nice sweet note to the dish. Closer look at the dish.. The Pea Risotto was not part of the dish but since I have some left over, I decided to use it. 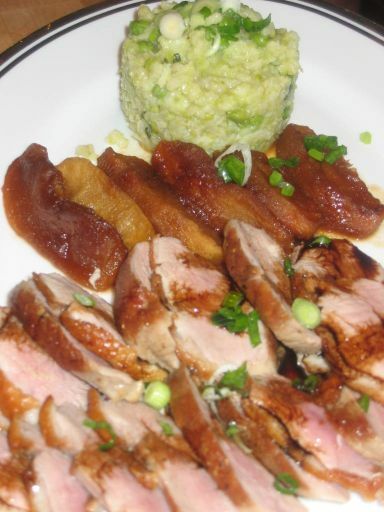 The risotto does add a nice color to the dish. Family style portion. 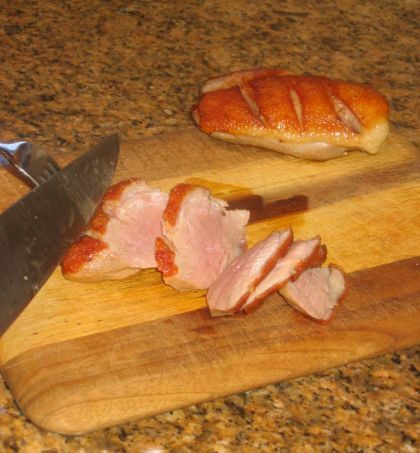 The duck breast was perfectly cooked. 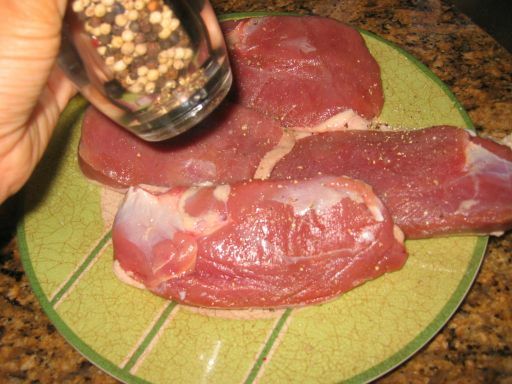 You want the meat to be on the pink side just like in this picture. 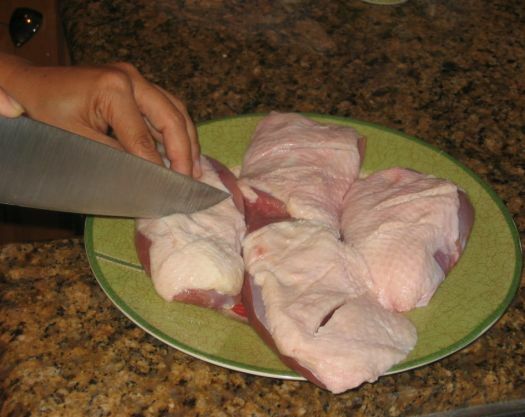 I am making cuts into the skin and fat making sure that to cut into the meat. 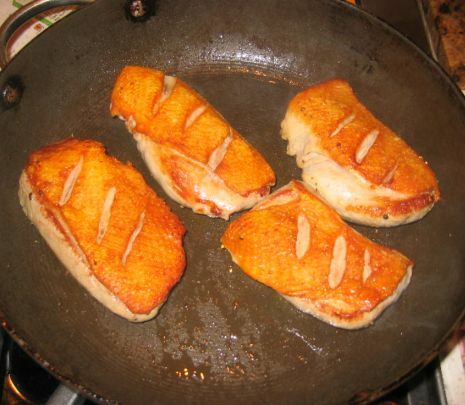 On a hot pan with oil I am searing the skin side first. 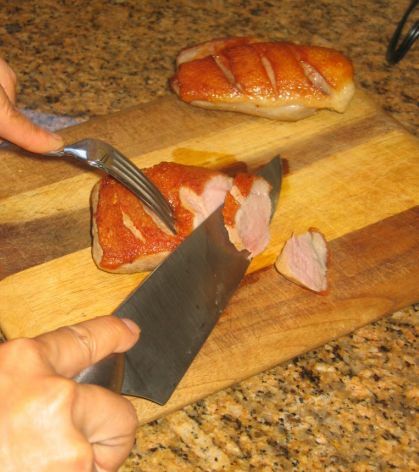 Once the skin is nicely browed, the other side of the meat is seared. 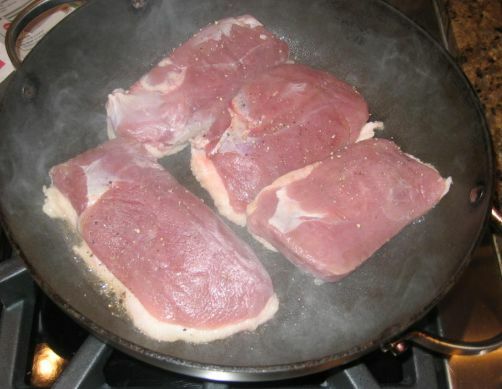 When both side are seared, the heat is lower and the meat is cooked for about 7 to 8 minutes until it is medium rare. Once the meat is cooked, I let it rest for about 2/3 minutes for the juices to distribute evenly inside. Then it is time to slice the meat. 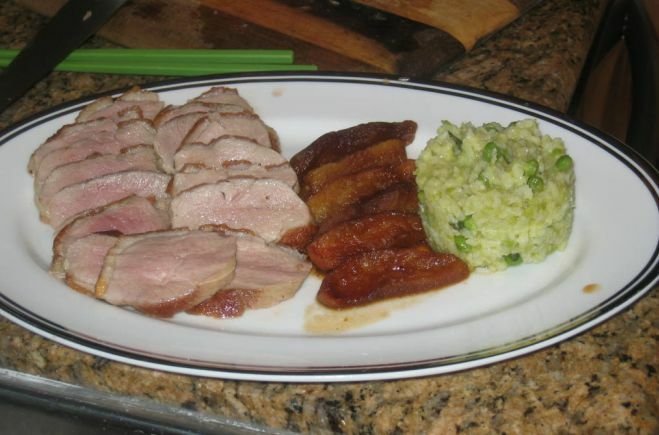 I am now plating the Duck breat with Caramelized Apples and Peas risotto (left over from my Chef's menu party). 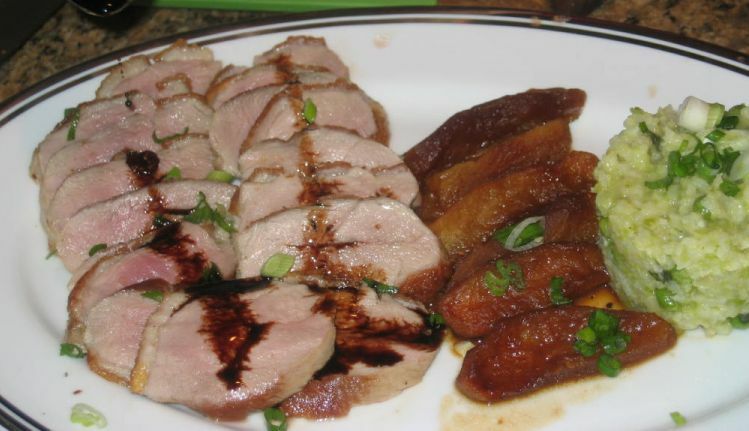 The last step before serving this dish is adding the reduced balsamic sauce to seared Duck breast and voila it is ready!